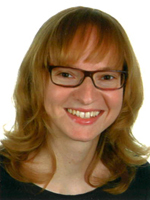 Dr. Dana Burchardt is academic coordinator at the Berlin Potsdam Research Group “International Law – Rise or Decline?”. The Taricco II judgement handed down by the CJEU on 5 December 2017 is a telling and worrying example of a weakly reasoned court decision and the high price at which such weakness comes. It is a judgement that disregards legally problematic questions, seemingly subordinating argumentative consistency to the constraints of legal policy in a climate increasingly critical towards EU law and institutions. The (potential) collateral damage of this approach is considerable.